Free Video Flip and Rotate for Windows XP - a small application designed to work with digital images. Using its functions, users can rotate images in any direction by 90 and 180 degrees. Built-in reflection tool allows you to create a mirrored copy of the image, without distorting the contours and sides. The utility supports work with all popular image formats, including GIF, JPG, BMP and PNG. 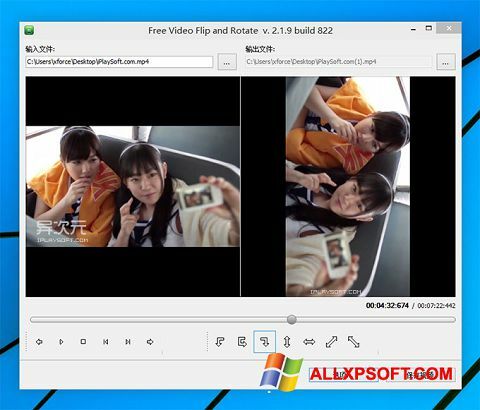 You can free download Free Video Flip and Rotate official latest version for Windows XP in English.